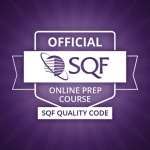 SQFI has partnered with Alchemy Systems to develop easily-accessible and interactive online courses that enable you to understand the SQF Code and its requirements. Through the Alchemy Academy, SQFI is able to offer a convenient and effective way for SQF sites, practitioners, consultants, trainers, and auditors to address food safety and quality standards, learn about the SQF Program and Codes, and earn a certificate of participation and attendance. The first step in achieving SQF certification is to clearly understand the SQF Food Safety Code requirements. 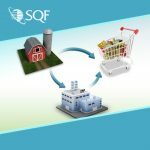 Oftentimes the manufacturers already have in place many of the food safety programs found in the SQF Code, but an additional assessment must be made to identify any gaps to be sure they are fully protecting their product. The course is recommended for sites seeking certification, as well as consultants, trainers and anyone interested in learning about the SQF Program. 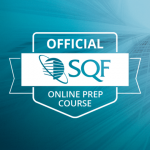 Available in both instructor-led and online formats to fit all learning needs, the Implementing SQF Systems training course helps sites understand the Food Safety Code so an effective SQF Program can be implemented. The cost for the Implementing SQF Systems online course is $700 US per person. The SQF Quality Systems for Manufacturing course clarifies the relationship between safety and quality, and explains process variation, how to use data to understand your system, how to prevent defects with statistical process controls, and more. Understand the link between product quality and quality management principles. 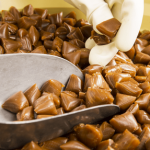 Explain the product quality parameters within your food industry sector or site. Understand and apply the “cost of quality” model within a site. Apply the Plan, Do, Check, Act, or PDCA, cycle to improve quality outcomes. Understand how quality management principles impact product quality and productivity. Apply and improve quality management principles within your site. The SQF Quality Systems course is intended for quality, technical and managerial staff working in food manufacturing who seek to understand and differentiate between food safety management and quality management, and who are intending to implement the SQF Quality Code, Edition 8. Course attendees must have successfully completed examinable HACCP training, and either Implementing SQF Systems training (minimum: edition 7) or Auditing SQF Systems/Lead SQF Auditor training (minimum: edition 7). The cost for the SQF Quality Systems online course is $700 US per person. This interactive course is designed to help small and medium-sized producers integrate food safety standards into their existing practices while creating a pathway to achieve globally accepted GFSI certification. Have questions about SQF Training?